I’m back from my sojourn at the Origins of News in Early Cinema seminar in Girona, some thoughts on which will follow in due course. 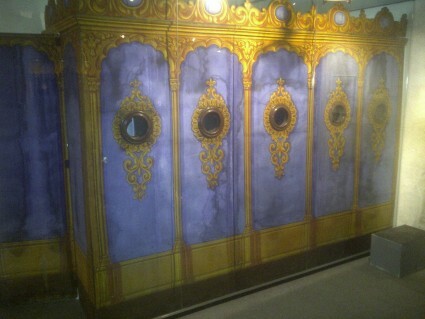 While I was there, I visited the town’s Museu del Cinema. It’s an excellent place in every degree, and worth a short description here to encourage you to visit should you ever think of being that sunny corner of the world (which I can warmly recommend in any case). 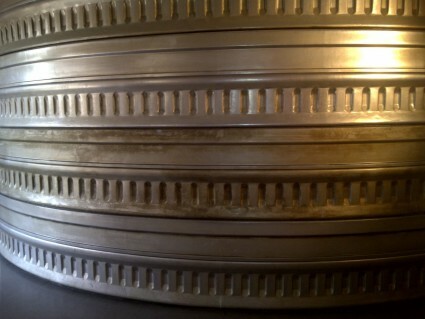 For some, the history of the motion picture begins with Edison or the Lumière Cinématographe. For others, that’s more or less where it ends. The delight is in pursuing the history of the projected image and the recreation of motion by their various routes from antiquity through to the late nineteenth century, when these innovations finally coalesced into the phenomenon that is cinema. Thereafter what we have is a playing out of principles confirmed by 1896. The period before is usually, if not uncontentiously, described as pre-cinema, and pre-cinema is the primary subject of the Museu del Cinema. The Museum’s core collection was amassed by amateur filmmaker and collector Tomàs Mallol, who was inspired by C.W. Ceram’s famous book The Archaeology of the Cinema to concentrate on objects that documented cinema’s antecedents. The collection of some 20,000 objects comprises 8,000 museum objects, apparatuses and pre-cinematographic and early cinema accessories, 10,000 images documents (photographs, posters, prints, drawings and paintings), 800 films of all types and a library of over 700 books and magazines. Much of it was apparently acquired from Paris flea markets in the 1960s, when such objects (now worth thousands) were unwanted discards. It was purchased by the Girona authorities in 1994. What you will see are shadow theatres, camera obscuras, anamorphic projection devices, magic lanterns, lantern slides, peepshows, optical toys and devices, stereoscopes, optical boxes, Chromatropes, Thaumatropes, Zoetropes, photographic equipment, Daguerrotypes, Calotypes, flick card devices, a rare projecting Praxinoscope, Mutoscopes, a reproduction Kinetoscope, early motion picture cameras and projectors, toy lanterns and cinematographic devices, and then a quick rush through the remainder of motion picture history, including a side-step into television (a 1930s Baird televisor) and an interesting foray into cinematographic toys for children. It’s a museum of the traditional sort, in that it predominantly consists of objects behind glass, though there are plenty of optical devices to peer through, working models of assorted ‘tropes and ‘scopes, and video projections of Edison, Lumière and Méliès films. What makes it special is how it documents the great human urge to see the essence of life recaptured. Since the mid-seventeenth century, when the magic lantern was devised (arguably), or as far back as pre-history if you want to think of the magical powers that were invested in pictures drawn on the walls of caves, we have thrilled to our world and ourselves reflected on a screen. The instruments devised to satisfy this need have been various, ingenious and often beautiful. In sum they show that cinema answered a powerful human need, and indeed that everything since 1896, be it cinema, television, the VCR or YouTube, is a continuation of that expression. Those later developments don’t need to be in the museum – it is the opening of the eye, not what the eye then saw, that matters. The Museu del Cinema is one of just a handful of cinema museums in Europe. Others include the Museum of PreCinema in Padua, Italy; the Museo Nazionale del Cinema in Turin; the Musée de la Cinémathèque of the Cinémathèque Française in Paris, France; the National Media Museum in Bradford, UK; the Bill Douglas Centre at the University of Exter; and the private Cinema Museum in London. The Museu del Cinema itself has a useful tri-lingual website (Catalan, Spanish and English), with a tour of the museum through many illustrated objects, and background information including a listing of cinema and pre-cinema museums and collections throughout the world. 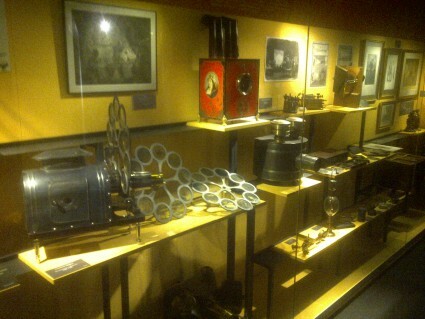 A set of photographs of exhibits in the Museu del Cinema can be seen on the Bioscope’s Flickr site.